Get ready thrilling gameplay with this Gas Out Cars Game. 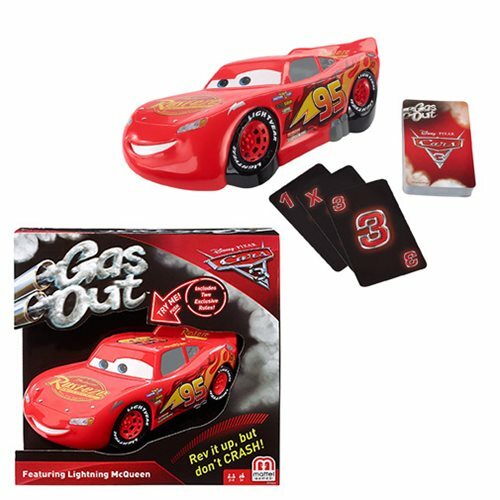 Play a number card and press the electronic Lightning McQueen by the amount indicated on the card. But beware, if you hear a crash sound, you'll be out for the count. With two exclusive cards: a shift mode, which involves passing your cards to the left, and victory lap, which requires everyone to take turns pressing McQueen until someone is out. This light-hearted but exacting game is a great way for fans of Cars to have fun.